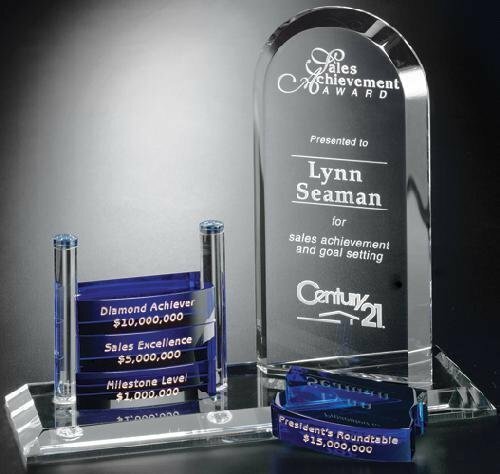 Goal-setter crystal awards are THE hot item for ongoing corporate recognition programs. 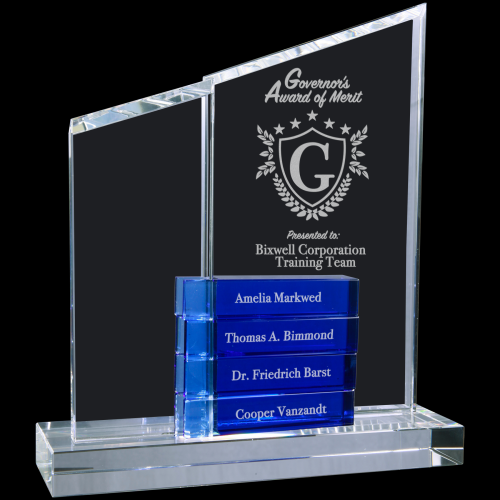 Perpetual crystal awards are very versatile, they are used by corporations, universities, and non-profits to recognize outstanding performance, length of service, and the embodiment of cultural values. 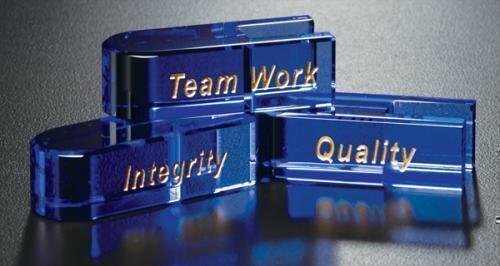 Start with a base and then add blocks for milestones such as accomplishing sales goals, service anniversaries, above-and-beyond displays of core values, team successes, and more. 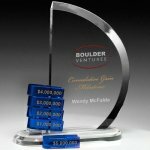 The Alliance Goal-Setter award is one of the largest in this series and features a sleek, contemporary design made of radiant, optical crystal. 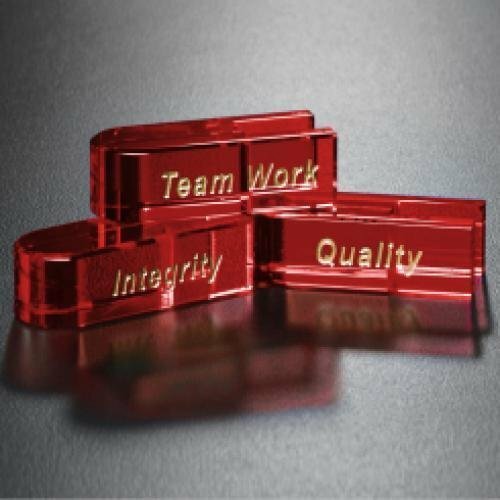 The stacking blocks recognize milestone accomplishments. This item holds up to 14 total blocks. Need a larger size? Ask us about a custom size. The Arch Goal-Setter award features a soft arch with a large etching area made of radiant, optical crystal. 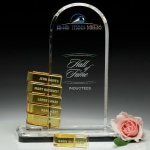 Goal setter awards are great for recognizing sales achievements, service awards, patent awards, safe driver awards, circle of excellence membership, donor recognition, and more. 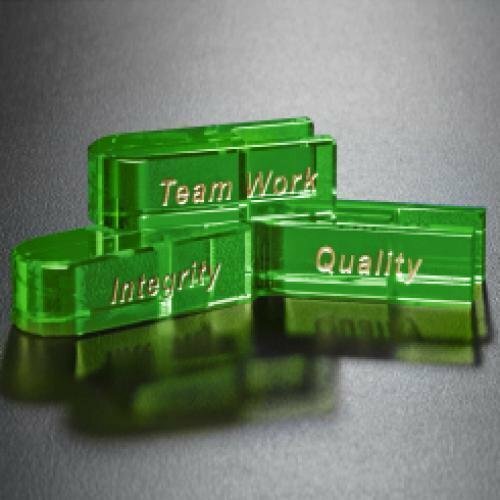 The stacking blocks recognize milestone accomplishments. This item holds up to 4 total blocks. Need a larger size? Ask us about a custom size. The Biscay Goal-Setter is a magnificent domed crystal tower accompanied by stackable blocks that commemorate the goals your recipient has reached. 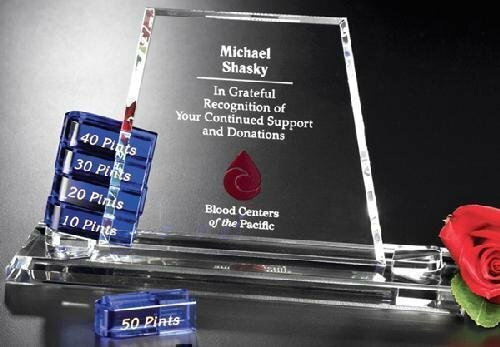 Goal setter awards are great for recognizing sales achievements, service awards, patent awards, safe driver awards, circle of excellence membership, donor recognition, and more. Additional blocks for any of our Goal-Setter awards. Price includes one line of personalization, deep etched and colorfilled. 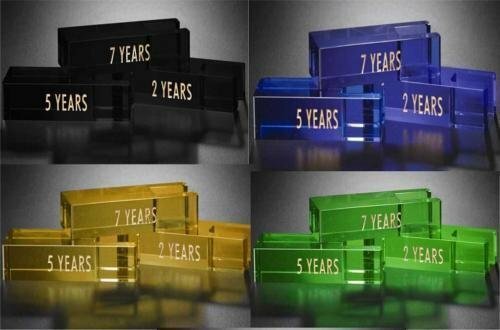 Blocks are available in blue, green, gold, red, black, and clear. Add to cart to choose shape and color options. The Como Goal-Setter award features a half circle shape made of radiant, optical crystal. 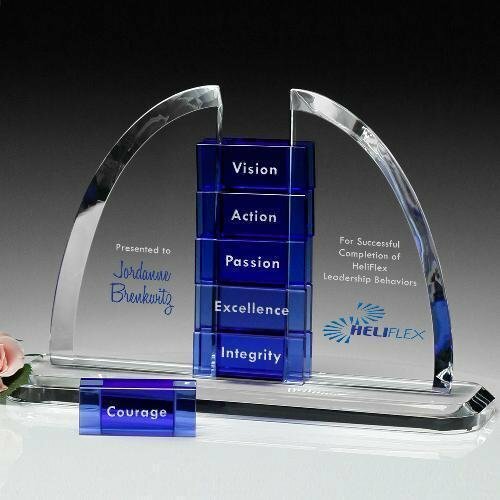 Goal setter awards are great for recognizing sales achievements, service awards, patent awards, safe driver awards, circle of excellence membership, donor recognition, and more. The Creston Goal-Setter award features a fluid, asymmetrical design made of radiant, optical crystal. 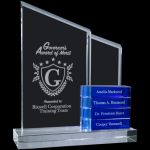 Goal setter awards are great for recognizing sales achievements, service awards, patent awards, safe driver awards, circle of excellence membership, donor recognition, and more. The Glendale Goal-Setter award features an asymmetric peak shape base made of radiant, optical crystal. 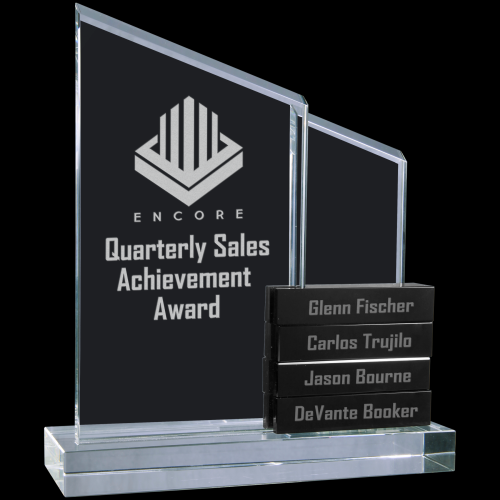 Goal setter awards are great for recognizing sales achievements, service awards, patent awards, safe driver awards, circle of excellence membership, donor recognition, and more. 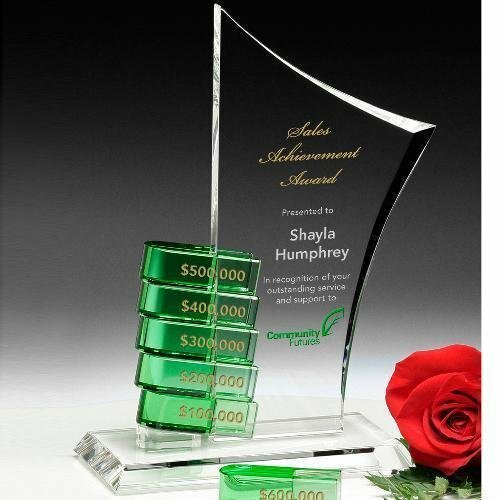 This award includes one etched and colorfilled goal-setter block, and additional blocks can be purchased as needed. 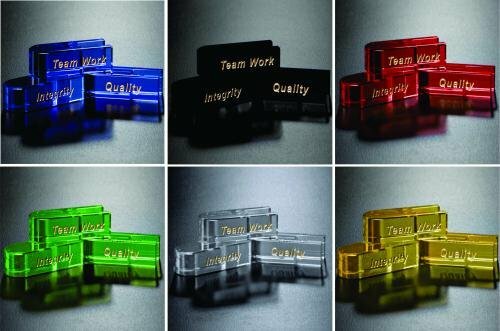 Blocks are available in blue, green, gold, red, black, and clear. The Glendora Goal-Setter award features a petite base made of radiant, optical crystal. 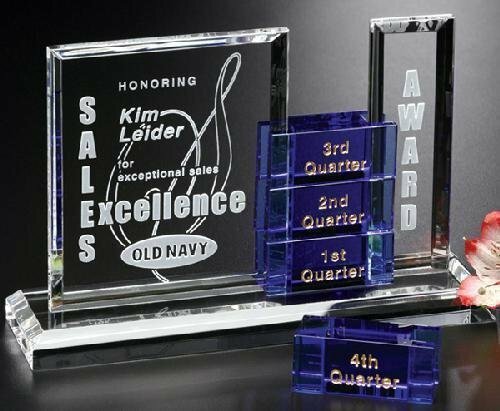 Goal setter awards are great for recognizing sales achievements, service awards, patent awards, safe driver awards, circle of excellence membership, donor recognition, and more. The Hallock Goal-Setter award features a soft, rounded design made of radiant, optical crystal. 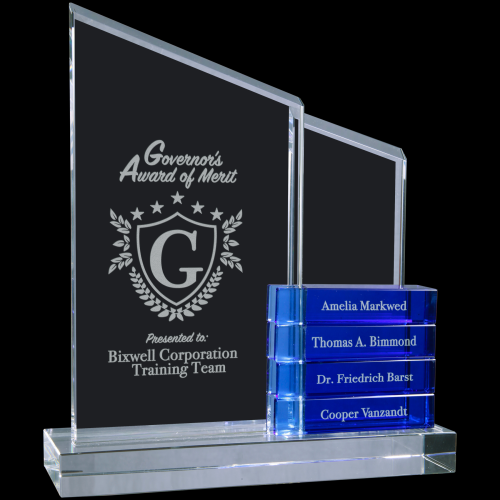 Goal setter awards are great for recognizing sales achievements, service awards, patent awards, safe driver awards, circle of excellence membership, donor recognition, and more. The stacking blocks recognize milestone accomplishments. This item holds up to 6 total blocks. Need a larger size? Ask us about a custom size. 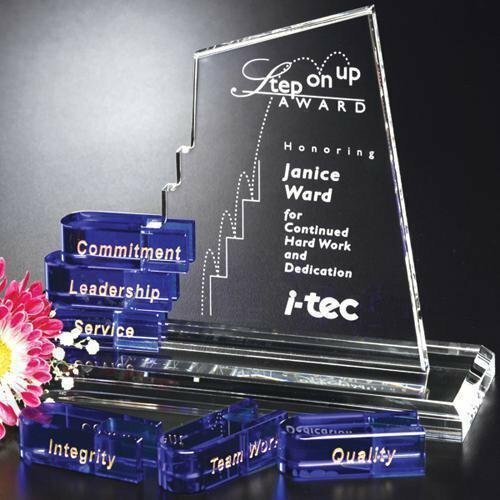 The San Marcos Goal-Setter award features a stepwise design made of radiant, optical crystal. 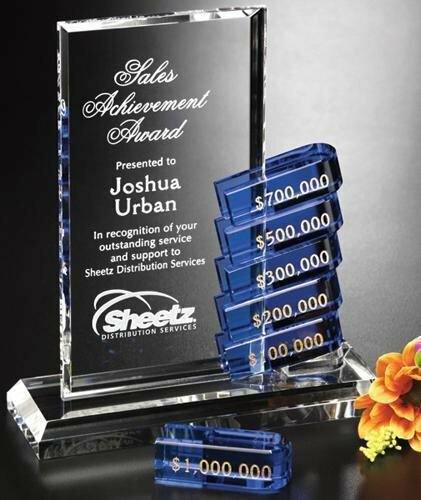 Goal setter awards are great for recognizing sales achievements, service awards, patent awards, safe driver awards, circle of excellence membership, donor recognition, and more. 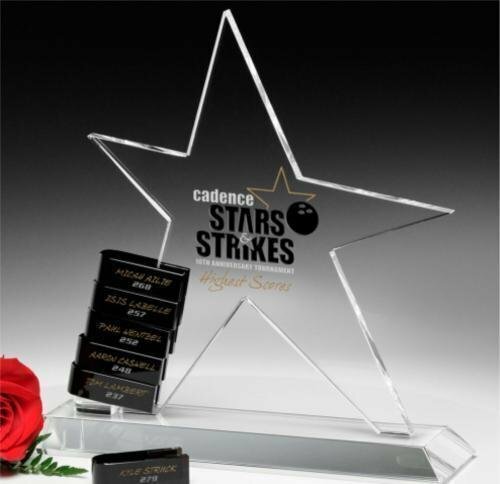 The Star Goal-Setter award features a contemporary star shape base made of radiant, optical crystal. 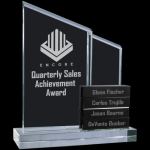 Goal setter awards are great for recognizing sales achievements, service awards, patent awards, safe driver awards, circle of excellence membership, donor recognition, and more. The stacking blocks recognize milestone accomplishments. This item holds up to 6 total blocks. 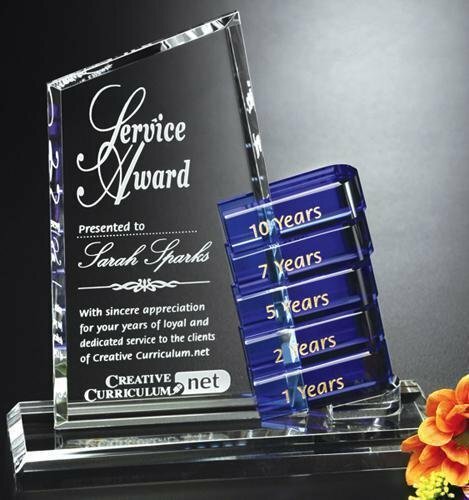 Perpetual crystal awards are a modern, innovative and cost effective way to recognize achievements over time. 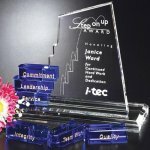 Each award includes deep sand etching of your logo and text on the left, as well as 4 stackable black blocks that can be added over time. Blocks include deep sand etching of one line of text. Additional blocks available, piece holds up to six total blocks. Gift boxed. 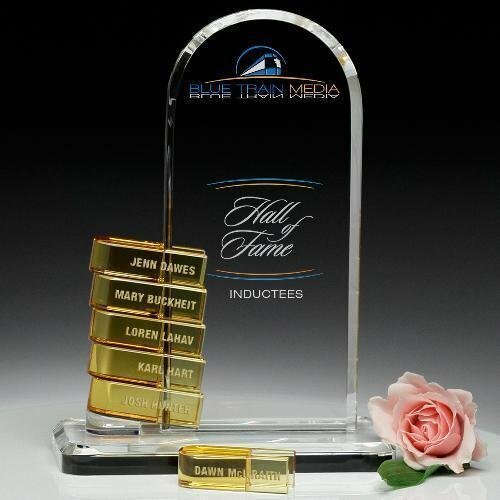 Perfect for sales awards, patent awards, team awards, sponsor recognition, or any perpetual award where the ability to add or change names or dates is needed.